Steve Rubenstein didn't want to just write JNF a check. "My father cared a lot about Israel," said his son Andrew Rubenstein. "He was taught by my grandfather the importance of giving back. My father favored JNF because it is very Israel-directed." A World Chairman's Council member thanks to a $1 million gift, Steve decided he wanted to do more, so 12 years ago he established a Donor Advised Fund. The fund gives JNF an interest in several properties that Steve owned. As a property generates income, the money goes directly into the Donor Advised Fund - the Steven Rubenstein Donor Advised Fund. The fund allowed Steve to choose projects that he wanted to support, including a reservoir and a fish farm in Sderot. When Steve passed away in June 2008, the right to recommend projects went to his wife Beverly, a Sapphire Society member, and his son Andrew. An active member of JNF's Northern New Jersey Board, Andrew is involved in many of the region's events, attending golf and poker tournaments, Tree of Life™ Award dinners, and JNF's Annual National Conference. He remembers going to Israel with his parents as a teenager, attending Hebrew school, and putting money in Blue Boxes. As director of the Donor Advised Fund, Andrew varies the projects every six months, which is when the dividends come in. "I do my own projects with JNF, so if, for instance, I'm doing a two-year project on a reservoir, I don't want to do a similar project with the Steven Rubenstein Donor Advised Fund." The Steven Rubenstein Donor Advised Fund has supported many wonderful JNF projects, including Sderot, the Arava Institute, the new community of Halutza, and Ammunition Hill, which has been a particular pet project. 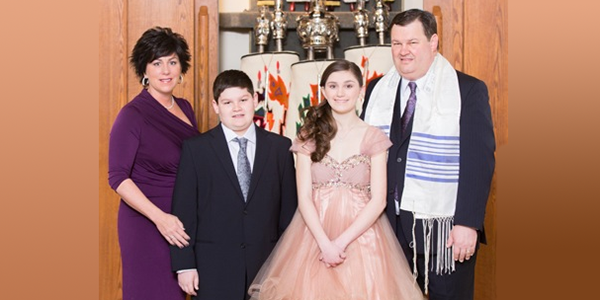 "My involvement in JNF is definitely my father's influence," said Andrew, who lives in Morris County, NJ with his wife Victoria and two children, Olivia and Cameron. "Philanthropy has become a family tradition, one that I have passed on to my children. I think it's important to maintain the infrastructure of the State of Israel as a country, and the donor-advised fund allows my father's legacy to continue doing so."